The third generation Skoda Octavia was introduced in 2013 and then facelifted in late 2016. 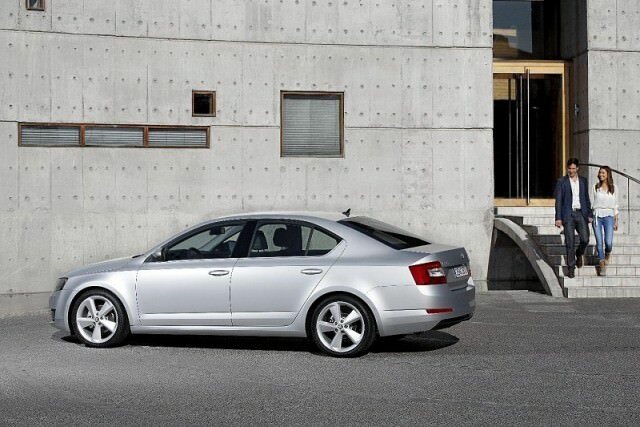 The Skoda Octavia needs no introduction. Here we deal with the third generation of the Czech company's C-segment hatchback. Built on the Volkswagen Group's 'MQB' platform, it shares a huge number of components with the likes of the Golf and SEAT Leon, though Skoda always manages to squeeze a little more space from its cars - especially in the boot. That remains the case in the Octavia, though the third iteration of the model came with sharper styling than ever before and a more modern interior, too. Further changes to the design and technology were introduced as part of a significant overhaul in late 2016, but we're focusing on the pre-facelift version in this guide. First thing to decide is whether you need the cavernous Octavia Combi estate or if you'd prefer the regular five-door hatchback. There are sporty RS models too (petrol and diesel, estate and hatchback, automatic and manual, front-wheel drive or 4x4), plus several regular models with four-wheel drive - including the very likeable Octavia Scout estate. However, the vast majority of Irish buyers will be content with one of the more common diesel or petrol options, depending on needs. Early in the life of the third generation Octavia, petrol power was mostly provided by a perfectly fine 1.2-litre TSI engine, though the newer 1.0-litre TSI unit is well worth a look as it punches way above its weight. On the diesel side, the 2.0-litre TDI engine is considerably quicker than the more common 1.6, if not as economical. In terms of trim levels, they run Active, Ambition and Style for the most part in the classifieds. SE cars have been imported from the UK. While we prefer the performance of the 2.0-litre TDI engine, and love the peppy newer 1.0 TSI option, we must concede that the modest 1.6 TDI 105 will suit the majority of Octavia buyers best. It has adequate performance and comes with the promise of really low running costs. The Style trim level is preferable, but the Ambition car has everything that most will need. Though the Skoda badge still doesn't have the same cachet as the VW one, the Octavia shares a lot with its Golf cousin, while adding more equipment and space for the same price. If you're a pragmatic buyer, more interested in value and practicality than status, the Skoda is definitely for you.